Be familiar performing with multi-CAD data and how it provides an effect on your bottom line. Be aware of the challenges that may arise performing with diverse design tools. Find out solutions that enhance productivity amid your design engineers. Now-a-day, the number of participants associated with the product design process, are increasing significantly. 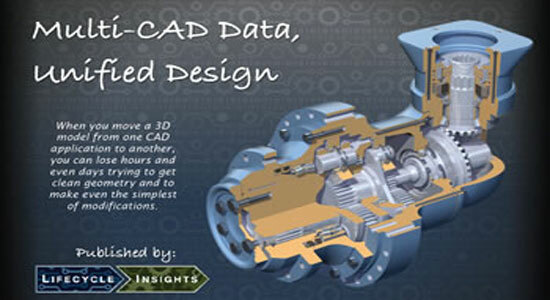 If contributors are dealing with various CAD tools, collaboration becomes at risk. One can lose several hours or a complete day for availing precise geometry while shifting a 3D model from one CAD platform to another. Even delicate adjustments can turn out to be a major task.